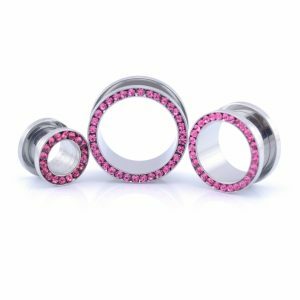 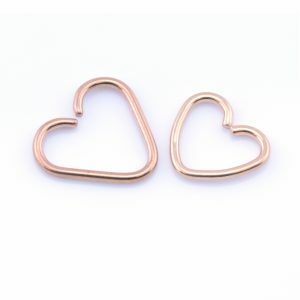 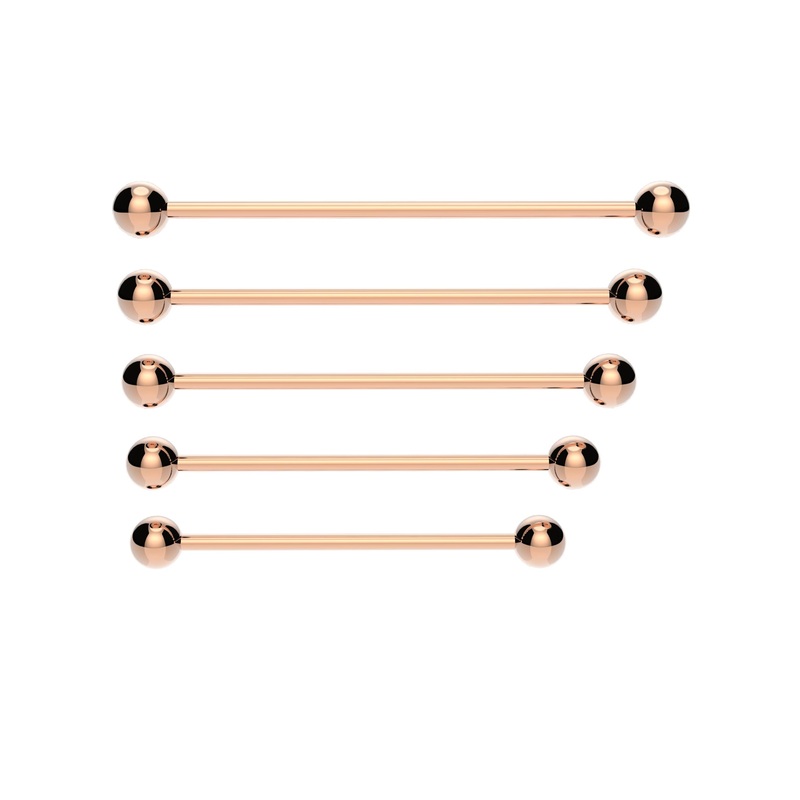 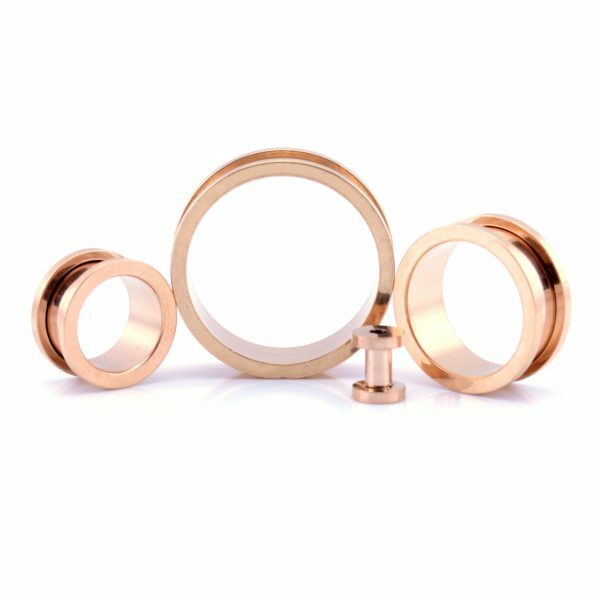 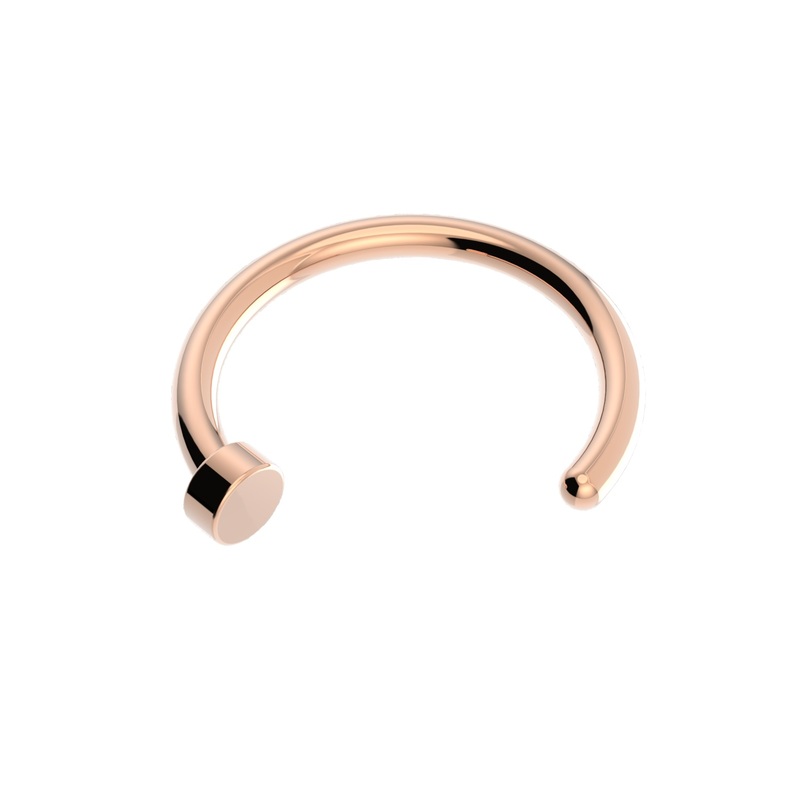 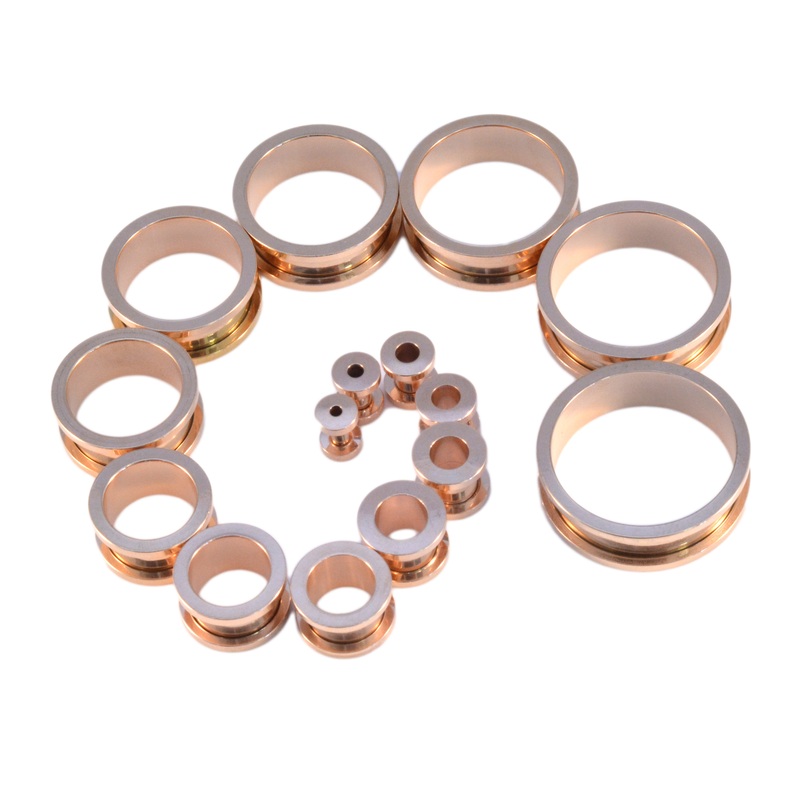 Rose Gold Screw Flesh Tunnel – 2 Piece Screw Tunnel with one rim that screws on and off. 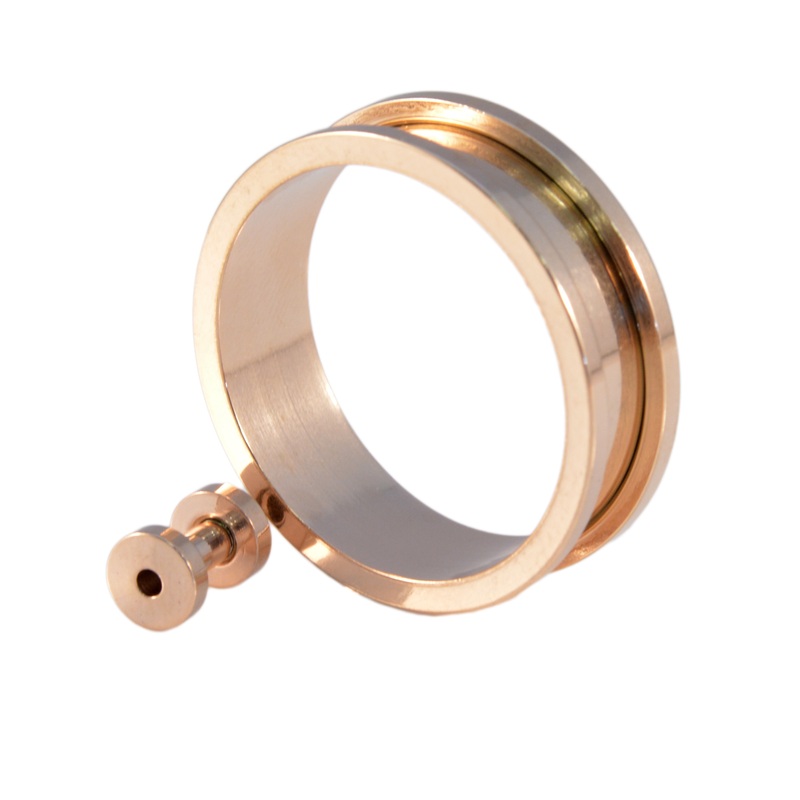 Surgical Steel high hand polish, also available in Silver Steel, Black Steel (black colour PVD), Rainbow & Blue. 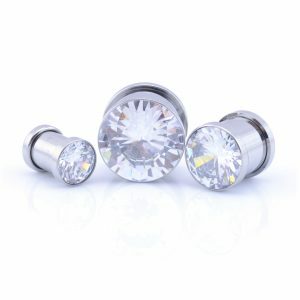 Sizes from 3mm up to 30mm.